A dozen of marbles brings about innumerable game ideas. Aim and strike, baklaas, odd or even, or make up your own game. 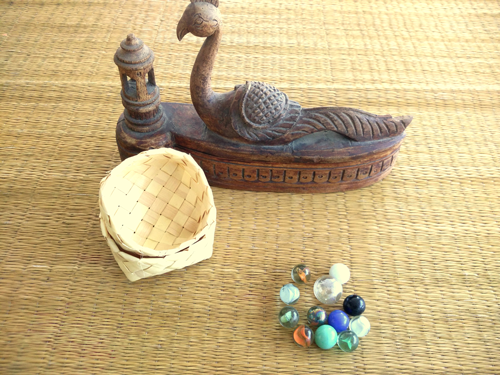 This set contains a palm box with 12 marbles, in rich colours.